SofTec Coxa guides the hip joint safely and in a manner appropriate to the indications. SofTec Coxa guides the hip joint safely and in a manner appropriate to the indications. Flexion/extension and abduction/adduction are set in an anatomically correct fashion using a single pivot. 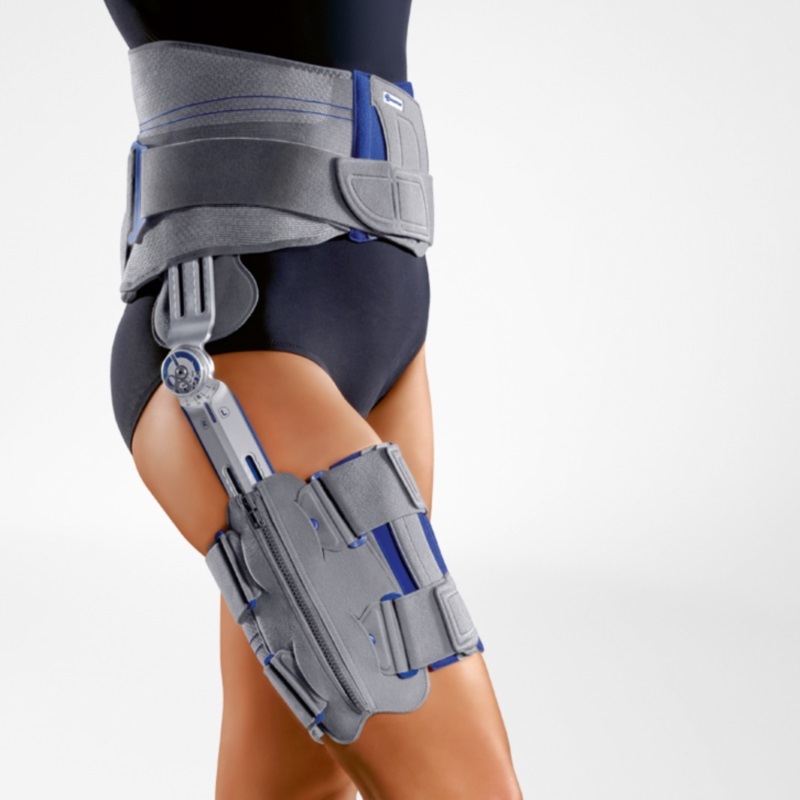 The monocentric joint can be continuously adjusted to the height of the greater trochanter. SofTec Coxa thus holds the head of the hip joint securely in the socket. Movements that could give rise to dislocation are prevented, thus ensuring a positive surgical outcome. The anatomically contoured pelvic frame sits securely and comfortably on the iliac crests. The pelvic frame is individually fitted to the girth and is embedded in breathable knit, which is easy to close with Velcro. The thigh harness consists of a skin-friendly special knit and is fitted without great effort using Velcro straps. Size: 1 (75-90cm), 2 (90-110cm), 3 (110-135cm). Waist circumference in cm.